At our 2018 Leadership Summit, which was attended by more than 30 enterprises, the No. 1 company initiative identified by 80% of the participants was to move away from their premises-based voice system and adopt a full-featured cloud solution. By consolidating disparate unified communications (UC) applications with a cloud-based service, organizations can offer their employees a better user experience, more features, and more efficient communications while reducing costs and relieving some of the IT staff’s burden. Looking to replace an end-of-life PBX or a premises-based voice platform? Confused by the dozens of UC cloud options in the market? Finding that your current collaboration tools are hard to operate, thus poorly adopted or unused? Eager to provide more collaboration tools? Need to reduce telecom costs? 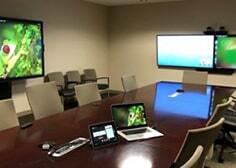 Room-based video solutions can improve employee productivity. Video solutions enable companies to deploy an intuitive and easy-to-use solution with high-quality sound and HD video. 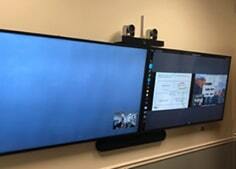 This technology makes it feel like remote participants are in the room. Reach out to the 20/20 Collaboration Team for an objective discussion. Our team has experienced engineers that specialize in building a solution just for you and your specific requirements. We have experience with market leaders in the collaboration and UC space, including Polycom, Cisco, Microsoft, Cyviz, Videxio, and Logitech. 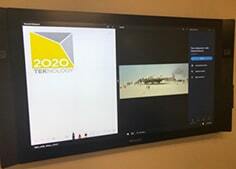 20/20 Tek can design solutions to seamlessly integrate with your existing cloud or on-premises environment, making the end-user experience delightful and simple. Design custom solutions, from a small-user huddle room to a large, integrated conference room with video and whiteboarding. 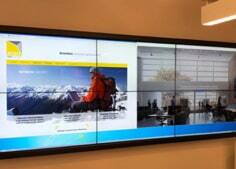 Design and deploy integrated video-wall solutions. Implement room-scheduling applications with Microsoft Office and G Suite integration.